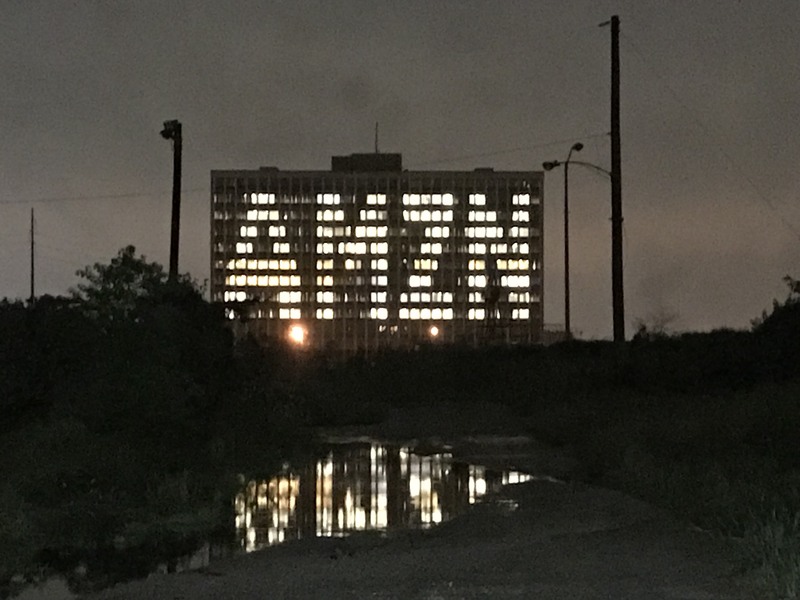 In Houston, Midway highlights an appeal to get Amazon to select its East River development for Amazon’s second headquarters. Thursday is the deadline for cities to submit proposals to Amazon to secure the $5 billion headquarters, which will have 50,000 employees and 8 million square feet of office space upon completion. Rice University President David W. Leebron has been in contact with the Greater Houston Partnership team regarding the Amazon proposal, Realty News Report has learned. Leebron, recently mentioned by the Boston Globe as a possible choice to become the next president of Harvard University, could not be reached for comment. “Rice University is supportive of the city’s effort to bring Amazon’s second headquarters to Houston,” a spokesman for the college said, declining to elaborate. Rice, ranked as the 14th best university in the nation by U.S. News and World Report, controls a prime redevelopment site in the heart of Houston – the 1939-vintage Sears store at 4201 Main, near U.S. Highway 59. Sears recently announced the store would close in January. Rice Management Co., manager of the university’s endowment, owns the store site and surrounding property – some 9.4 acres total in Midtown, which lies between downtown and the Texas Medical Center. Importantly, the Rice/Sears site has METRO light rail access, a key element that is in line with Amazon’s requirements. Montrose, downtown and a significant number of multifamily units and Millennial-oriented restaurants and entertainment venues are in close proximity. Houston, according to several site selection authorities, does not rank very high in the handicapping of the Amazon race. Austin, with its high-tech reputation, is called one of the favorites along with Denver, Atlanta and suburban Virginia. Dallas has also been mentioned. Other Houston sites that would be under serious consideration include downtown’s 800 Bell skyscraper, which was once occupied by Exxon and the 147-acre East River site being developed by Midway on the eastern edge of downtown. Amazon’s Request For Proposals emphasizes immediate access to mass transit and tends to express the desire for an urban location. Amazon’s RFP calls for exceptional air travel with plenty of non-stops to Seattle, San Francisco, New York and Washington, D.C.
Houston, with its two international airports with relatively easy access to downtown, appears to exceed Austin on the air travel scorecard. Houston, while it’s criticized for what detractors say is an insufficient tech workforce, did however manage to muster enough technical personnel to create and operate Compaq, one of the world’s largest PC manufacturers in its day. And a large office building – with roots tied to the Compaq remnant – is now under construction in north Houston for HP (Hewlett Packard). One of the main elements to be considered by Amazon will be the tax abatements and other incentives offered by the cities and governmental entities. The components of Houston’s proposal have not been disclosed. Amazon is expected to announce the winner in 2018.